> A few solid habits to help you stay (or get) FIT! 1. They don't think of their fitness as work, but rather a way of life. It's all about perspective. They look at the big picture and realize that on the days they workout,they have more energy, self confidence and resolve to eat well and reward their body for the hard work. 3. They eat to serve their purpose and fuel their goals. 90% of the time, they are eating clean and to fuel their bodies. They can enjoy 10% of the time for treat meals, but the majority of the time, food is working for their bodies and not against them. 4. They tune everything out when they're working out. Do you ever visit the gym and see the people just chatting while standing around? That's not going to get them far. In bootcamp, you will be pushed to work at your own fitness level, but we keep it moving and you will experience amazing results by focusing on the goal with us. 5. They push through frustration. - There will ALWAYS be setbacks. Whether it's getting on the scale that time of month and realizing the number has gone up (totally normal) and letting that get you down...etc. Lots of chicks want to lose weight very quickly - and when they don't see the number fast enough, they get down. 6. They prepare their food in advance and don't leave hunger to chance. They keep healthy treats in their purse when heading out for an afternoon of running errands. Things like apples, almonds, a quality protein bar, etc are all great choices. The drive-thru won't be enticing if you're prepared ahead of time. 7. They know where they'll be when it's time to eat, and know what they're going to eat. Similar to the tip above, be sure you've got a plan if you're out at noon and it's time to eat. 8. They envision the win-goal-finish line every day. Visualize your goals. This is such a powerful tool that works. See yourself where you want to be. Hang clothes that you want to wear in the front of your closet so you see them every day. Act "As If" and it will happen. 9. There are no excuses. Every one of us has something that is difficult in life. Some have a bigger burden to work around, but when you're trying to become fit, there WILL be obsticles. Decide that you're going to not allow yourself to have excuses, period. 10. There is no giving up - Nothing happens overnight (that will last for any length of time). You will get to your fitness goals with time, hard work and patience, and NOT giving up. You can do this! 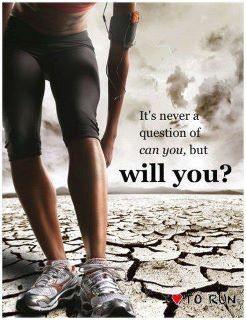 Our Texas Fit Chicks Bootcamp trainers will keep you accountable and help you during your journey. It's truly affordable accountability with TFC. Each one of these steps are critical to your success when trying to change your physique. You will get cardiovascular benefit from working out 3-5x a week for 30 mins, but to change your body, it's got to be closer to 45-60 mins 5-6 days a week, with one day off for your body to rest and recover. Texas Fit Chicks Botocamp wants you to be our next Fit Chick! If you're ready to get your fitness goals accomplished, let us know and we can get you started on Monday. No need to wait for another bootcamp to begin! We have bootcamps in Mckinney, Frisco, Allen, Prosper, Plano, Celina, Mesquite, Keller, Dallas, Anna, Carrollton, The Colony, Garland, Forney, Arlington, Richardson, University Park, Wylie, College Station, Spring and Houston Texas! Here is how to get in touch with the trainer near you for more information or questions about our fitness bootcamp! Texas Fit Chicks Run Club starts soon! Think it's healthy?? Think again! Countdown Till' Summer HERE. Are you ready? Texas Fit Chick Tinas' success!